100mm Spacing between controls. 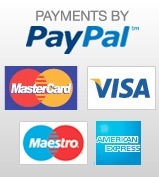 140mm version also available. 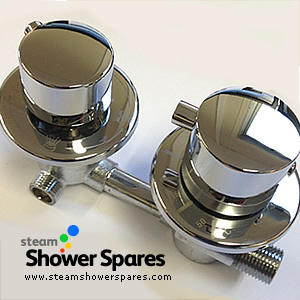 Thermostatic shower valve with 2 chrome dials for control of temperature, water flow and output to various functions of the shower or steam shower cabin. The outputs are 15mm threaded. 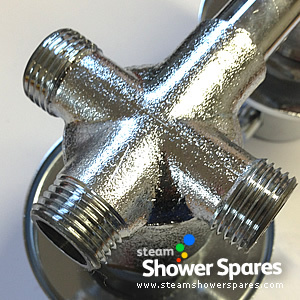 The water input ports are also 15mm threaded and require balanced water pressures. 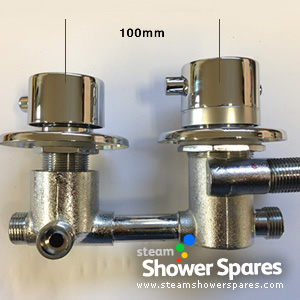 Please Note - The valve does not have a cold water output to connect to a steam generator - Our 15mm Brass T-Piece can be purchased separately if required. The valve required water pressures between 1-3 bar balanced and a minimum flow of 7.5 litres per minute to operate. Distance between valve body sections is 100mm centres. This valve comes with a pre-fitted Thermostatic Cartridge.